‘I will leave judgements on this matter to history – but I will be one of the historians.’ - Winston Churchill. Churchill’s complete six volume classic history on World War II - The Gathering Storm, Their Finest Hour, The Grant Alliance, The Hinge of Fate, Closing the Ring and Triumph and Tragedy. Not since Julius Caesar and his Gallic Wars has there been a case of a great leader in war also being an able writer. A finely bound edition of Carlo Collodi’s tale of woodcarver Gepetto and his mischievous puppet Pinocchio who longs to become a real boy, and whose nose grows and grows every time he tells a lie. Illustrated with four colour plates by Maud and Miska Petersham. 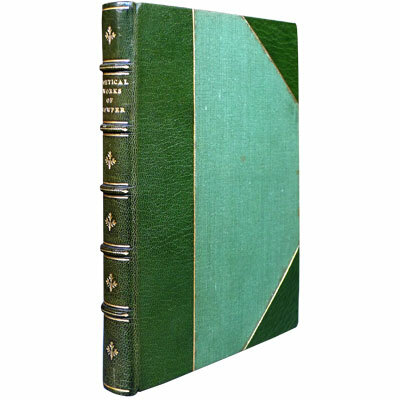 A excellent copy – finely bound by Sangorski and Sutcliffe – of the poetical works of William Cowper, including his poems ‘Epitaph on a Hare’ and ‘The Task’, together with his Olney Hymns and his translations from classical Latin and Greek verses. Edited and with a preface by H.S. Milford. A finely bound first edition of Darwin’s recollections of the great golf and golfers, champions and championships, covering two of the most interesting decades in the history of the game. The 1920s and ‘30s were a time when, Darwin realised upon reflection, 'almost everything happened'. Illustrated with nineteen black and white photographs. ‘One of Mr. D’s most famous books’ – Joseph S. F. Murdoch, The Library of Golf. Golf’s finest scribe, Bernard Darwin, whose grandfather was Charles Darwin, never trained as a journalist. He studied law at Cambridge, but was unhappy as a Barrister. "Once Darwin dipped his toe into golf writing, the reports he produced regularly for The Times of London over a 45 year period and his ruminative essays for the weekly Country Life possessed a quality that no one else has ever approached." – Herbert Warren Wind. 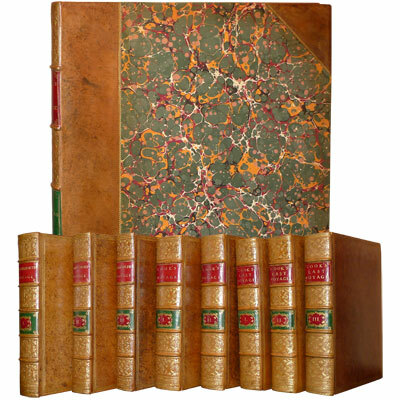 A stunning contemporary bound example of Dibdin’s enthusiastic and richly illustrated three volume exploration of bibliographical history from illuminated manuscripts to book collectors and contemporary book auctions. In-text engravings, thirty five full page plates and two double page plates. ‘Perhaps the most lavish of all Dibdin's works. 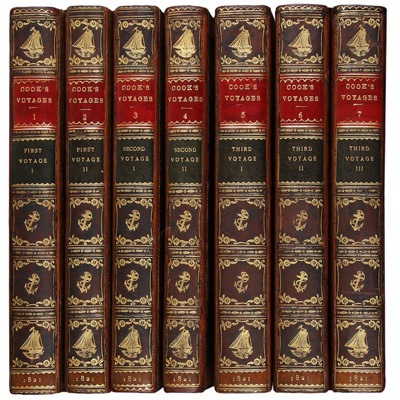 Its publication was a financial success and doubtless marks the high-water mark of the Dibdinian bibliomania’. (Jackson 40).